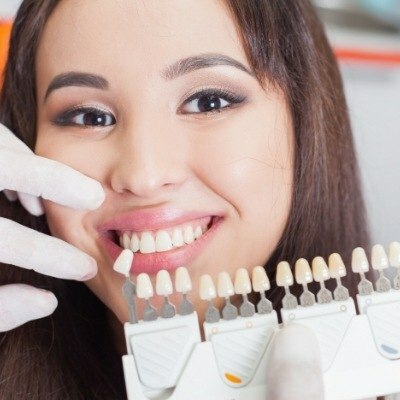 Does your smile fill you with confidence, or do you feel self-conscious of it because of stained, cracked, chipped, misaligned, or crowded teeth? 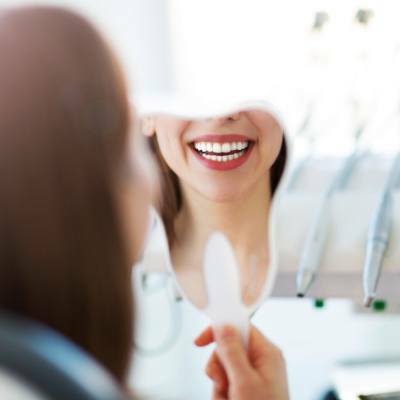 In the second case, we’re happy to offer several of today’s most popular cosmetic services to help you and others like you enhance the beauty of your smile. During a special consultation appointment, your dentist will closely examine your teeth and help you understand your needs. Then, after a discussion about your own goals, we can go over your treatment options. Your final cosmetic plan will be designed exclusively around your unique needs and your goals. Many cosmetic services take just a couple of visits to complete with results that could be life-changing. Ready to get the smile of your dreams? If so, then contact us today. If one of the teeth that shows when you smile becomes damaged, we won’t simply place a metal crown over it and call it a day. Rather, we’ll utilize a more elegant and natural-looking solution. 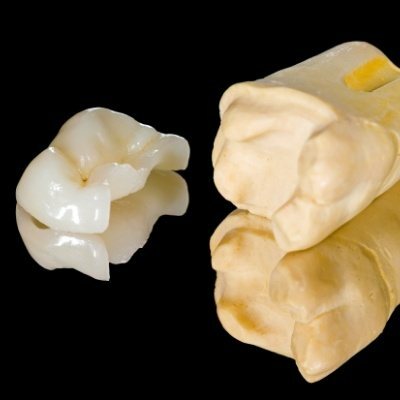 With an all-porcelain crown, inlay, or onlay, we can easily repair a front tooth in a way that helps it seamlessly blend in with the rest of the smile. 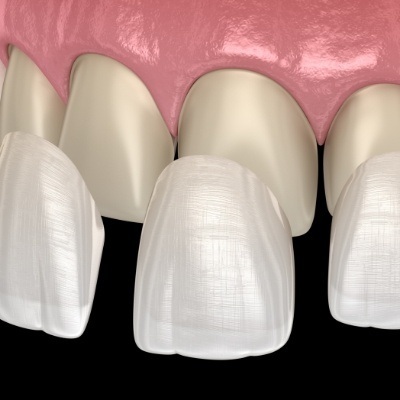 Dental porcelain can be shaded to perfectly match a patient’s tooth color, and the material is just as strong and durable as a traditional metal crown as well. In the end, these restorations enable us to repair and enhance your smile without compromise, providing the best when it comes to both strength and beauty. In the end, we’ll make it so only you and your dentist will know that you’ve had dental work done. This material is so lifelike that even we sometimes have trouble telling it apart from real teeth! Coffee, wine, tea, tobacco, aging, and even genetics are all factors that can leave your smile looking dull and discolored, which can easily cause you to hide your teeth at every opportunity. Fortunately, we can turn back the clock on your smile and restore its natural shine with professional teeth whitening. Whether you want a quick in-office treatment or the option to whiten at home with your own custom-made kit, we’ll give you exactly what you need so you can smile with complete confidence. Sometimes, a smile might not look quite right for reasons other than the appearance of the teeth. The perfect smile has just the right proportion of teeth, lips, and gums, and when too much or too little show, it can really affect a person’s appearance. For those who have an uneven gum line or too much gum tissue that shows when they smile, we can quickly remedy the problem with a procedure called gum recontouring. 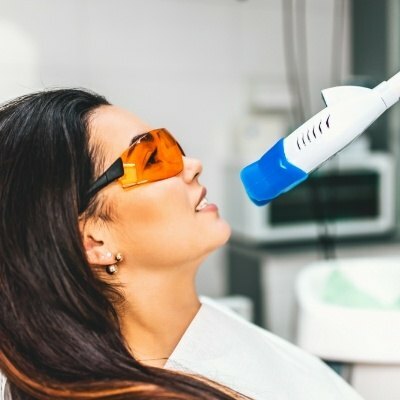 For this, your dentist will use a soft tissue laser to painlessly reshape your gum line to perfectly frame your teeth. It can eliminate excess gum tissue to reveal beautiful, previously hidden dental structure underneath. This can all be done over the course of a single appointment, and the results are truly stunning. And, because of the soft tissue laser, you won’t experience any swelling or bleeding during or after the procedure, leading to a speedy recovery. Invisalign is perfect for today’s modern working adult who wants to straighten their teeth without compromising their appearance with metal braces. It uses a series of custom-made clear plastic aligner trays to straighten the teeth in the most discreet way possible. The trays are practically invisible and even removable, so you’ll be able to get the smile you’ve always wanted without your treatment interfering with your life. And, in addition to all of this, it’s usually able to work faster than traditional orthodontic as well.